Last week, the National Endowment of the Arts announced its 2013’s winners of the National Medal of Arts, the nation’s highest honour for achievements in the arts. Among the list of 12 recipients are two Asian Americans — both women. In addition to Billie Tsien who is receiving an award for her contributions to architecture and arts education alongside her husband Tod Williams, an award will be given to acclaimed and pioneering Asian American author Maxine Hong Kingston. 73-year-old Kingston is renowned for her significant contributions to Asian American literature, particularly in providing an early feminist voice in the budding literary genre with her 1976 book The Woman Warrior. In that book, Kingston combined autobiographical reflections with a reinterpretation of traditional Chinese mythology to produce multiple perspectives through which she explored the identity of a first-generation Chinese American woman. The Woman Warrior‘s unique blend of oral history with personal narrative defies genre, and has consequently become according to the Modern Language Association the most-taught text in modern university classrooms (according to Wikipedia). 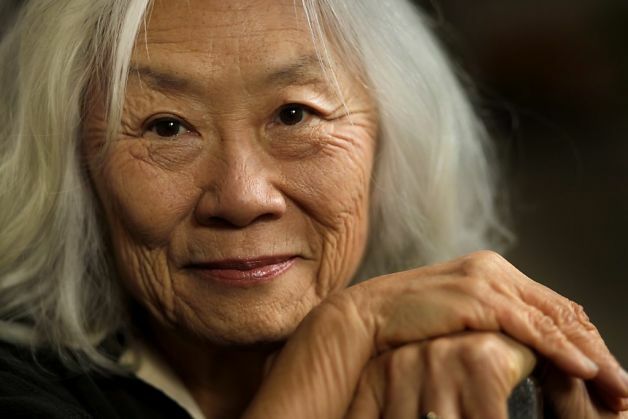 Whatever your position on Maxine Hong Kingston, I believe we can all agree that Kingston’s work has been ground-breaking in helping to establish and cultivate the necessity of an Asian American literary voice. While I agree that many books of the Woman Warrior era fell into Orientalist tropes when interpreted by non-Asian readers, I think this is to some degree a manifestation of the nascence of the genre in the late twentieth century. Like Kingston, I believe authors should ultimately only be held to the standard of presenting their own ideas and voices, and that the full realization of an Asian American literary genre will happen when multiple voices can present competing and often contradictory viewpoints on the Asian American experience. No single book must represent all of Asian Americana; to hold every book to such a standard asserts that there is a monolithic Asian American voice to begin with. Meanwhile, as an Asian American feminist, I appreciate The Woman Warrior for helping to create an academic and literary space for our movement from which many young Asian American feminist voices can and have developed emotionally and politically. The Woman Warrior is pioneering for declaring that there is a real and lived Asian American female experience that is unique and worth exploring, and that topics of sexism, sexuality, and identity intersect with the Asian and Asian American experience in novel ways. If nothing else, The Woman Warrior helped start a conversation about otherwise unchallenged patriarchy within the Asian American community — a patriarchy that sadly remains underaddressed and even largely denied by some of us. To that end, I think Kingston’s receipt of the National Medal of Arts today is not just warranted, it is long overdue. Kingston has been wildly influential in Asian American and modern American literature, and I’m excited she is being recognized for her contributions today. Today’s ceremony wherein Presient Obama will award all Medal recipients — including Kingston and Tsien — at the White House starts at 3:00pm EST and can be streamed live at WhiteHouse.gov/Live. Previous Previous post: Hmong Story 40 Project is seeking your help to tell Hmong stories!